West Ham cannot be trusted when it comes to buying strikers. Dozens of strikers from Mido to Simone Zaza to Andy Carroll to Marco Borriello, have arrived with great excitement and failed to consistently - or even occasionally - perform. Now they are on the hunt for another, and Goal understands they have settled upon the experienced, if enigmatic, Olivier Giroud, of Arsenal . Giroud is clearly a good player when on form. He has scored 98 goals in 227 games, and has also provided 41 assists. Yet there is something of the mysterious about him. Giroud has never truly led by example. He is emblematic of a serious problem at Arsenal. He's all style - and it cannot be denied that Giroud has style coming out of his ears - but very little substance. West Ham believe they could extricate Giroud from Arsenal for a fee of £20 million. A four-year deal would then be placed on the table, along with a weekly wage of £100,000. That would take the total outlay to £40.8m, for a player who turns 31 in September. Arsene Wenger, for his part, has claimed that Giroud “has qualities that the team needs”, but he completed 90 minutes just four times in the Premier League last season, with Alexis Sanchez often preferred as a starting centre-forward. Alexis, though, is making all the wrong noises for Arsenal fans this summer and could yet depart for Manchester City. This is where the flattery from Wenger comes in. Giroud is a dependable back-up option but he has struggled to adjust his playing style in recent seasons, and is on the fringes. If Alexis leaves another marquee striker is likely to arrive in his stead and Giroud is likely to remain on the bench. Why then are West Ham so keen to pay a fee that, just a few years ago, would have raised plenty of eyebrows? Admittedly, the transfer market has undergone a seismic change over the last two campaigns. Jordan Pickford is now a £30m player. Virgil Van Dijk is valued at £60m. One suspects that some clubs are picking numbers out of thin air and hoping that suitors pay up. West Ham have been here before, however. Carroll is a symbol of their failure recruit adequate striking options. He cost £15m, is the club’s highest earner by a significant distance and has spent more time injured than on the pitch. He played 18 Premier League games last season, scoring seven goals, but that does not disguise the fact that he missed 19 through injury. Now West Ham are willing to listen to any offer that may be forthcoming for him. Giroud is not as injury prone, but he plays in a similar vein and there will be fears around the London Stadium of history repeating itself with the Arsenal striker. In fact, it already seems that West Ham are doomed to continually repeat the historic failures of past transfer windows. Last summer they set out to sign Alexandre Lacazette or Michy Batshuayi. They ended up with Zaza – who is no longer at the club – and Andre Ayew. There has never been a consistent plan in place at the club. They blunder from one signing to the next and occasionally hit the jackpot, as they did when they managed to sign Dimitri Payet for the paltry fee of £10m in 2015. Yet he too grew sick of a failure to progress on the pitch, and moved to Marseille in January. Giroud is willing to stay in London, but he would do well to think twice before committing himself to a club so ridiculously ineffective in the transfer market, and so clearly without a plan on the pitch. Biic is a good manager but his owners continually throw mud – or, in their case, cold hard cash – at the wall and hope that it sticks. 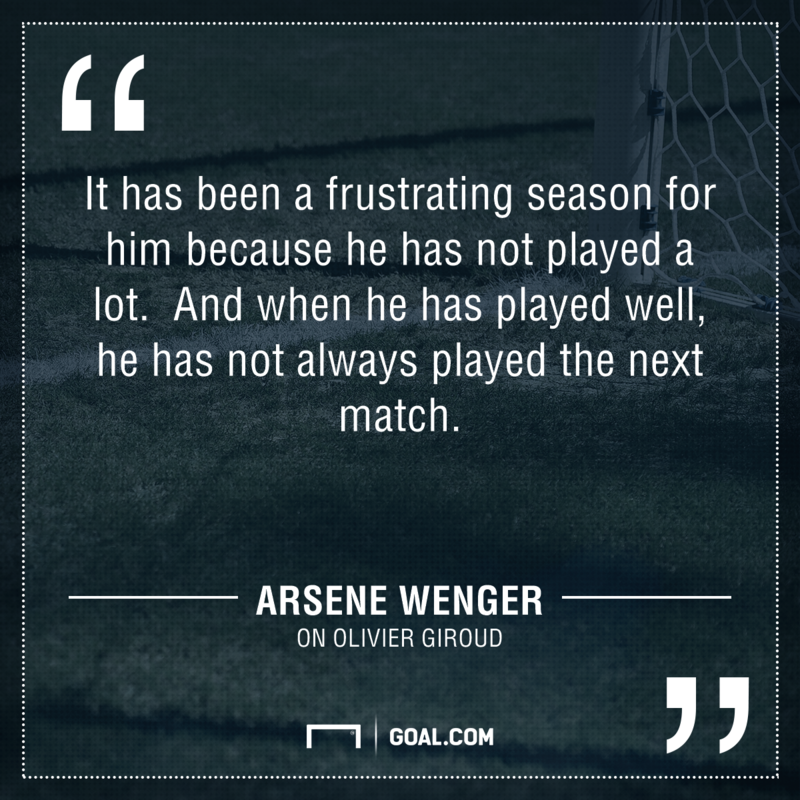 It hasn’t so far, and Giroud is best advised to duck before it is too late.